This spacious duplex, furnished and decorated with the highest quality and a simple modern and cozy at the same time style, is located in a renovated building placed in a strategic place in the emblematic district of ’El Albaicín’. The living room is very spacious and is divided into seating area with sofa convertible to double sofa bed to increase the capacity of the apartment to six people, and dining area, with seating for up to six people. The kitchen has all the equipment necessary to make a full use of it. Similarly, there is a small toilet under the stairs. Then, on the second level, you’ll find two bedrooms with a complete en suite bathroom each one. Both have a double bed and a wardrobe, of course linen and towels are included, and each bathroom has bathtub. 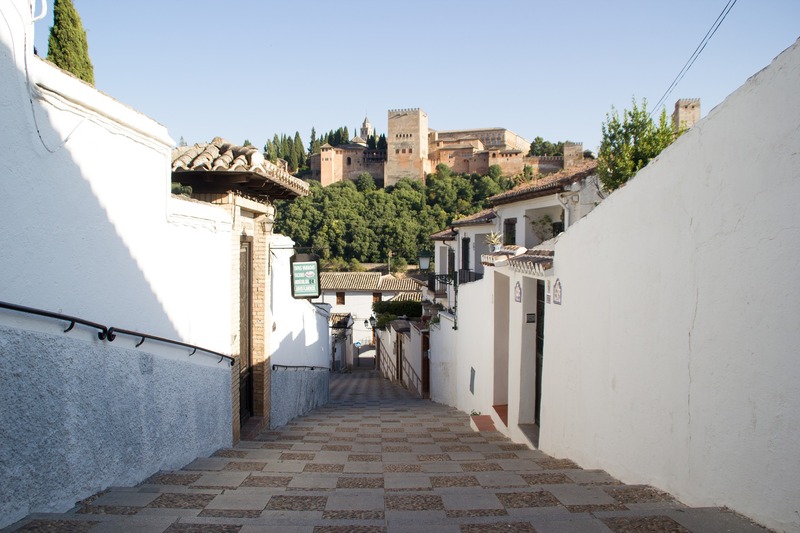 A peculiarity of the Alminar I apartment, gives that strategic situation I mentioned before, is that from it, you’ll be able to enjoy beautiful views of both the Cathedral and the Alhambra, a true rare privilege in the city of Granada. Two places where you can go on foot. Also, you’ll be able to enjoy the gastronomy, delighting your taste buds at one of the famous ’tapas’ bars or restaurants in the capital.